With all the veggies my husband and I produce each summer in our garden, it’s hard to keep up and eat them all ourselves. When our friends and neighbors stopped saying hi (and started locking their cars) for fear of being saddled with a bag of assorted garden veggies, we decided that we should start saving our extra bounty for the colder months. 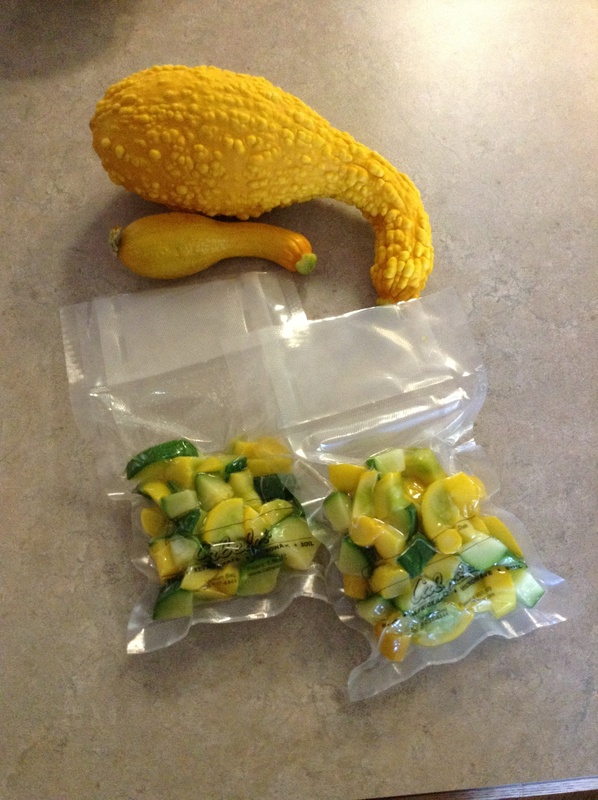 In the past we just used freezer bags to keep the veggies sort of free of freezer burn for a little while. While the ice crystals on freezer burned green beans could be considred beautiful in the correct light, they are far from appetizing. So, to fix this problem, my husband purchased a fancy vacuum sealer food saver. I’m sure you’ve seen these on infomercials or even in some retail stores. We thought it would be a whole lot easier to save veggies, fish, etc. without it going bad and having to throw it out. Plus the veggies we would accumulate would also come in handy for homemade healthy baby food! First, before throwing a whole squash into a vacuum sealer bag, cut it up and blanch (had to look that one up, but it is basically boiling for a couple minutes) the veggies before sealing (this goes for leafy veggies too). 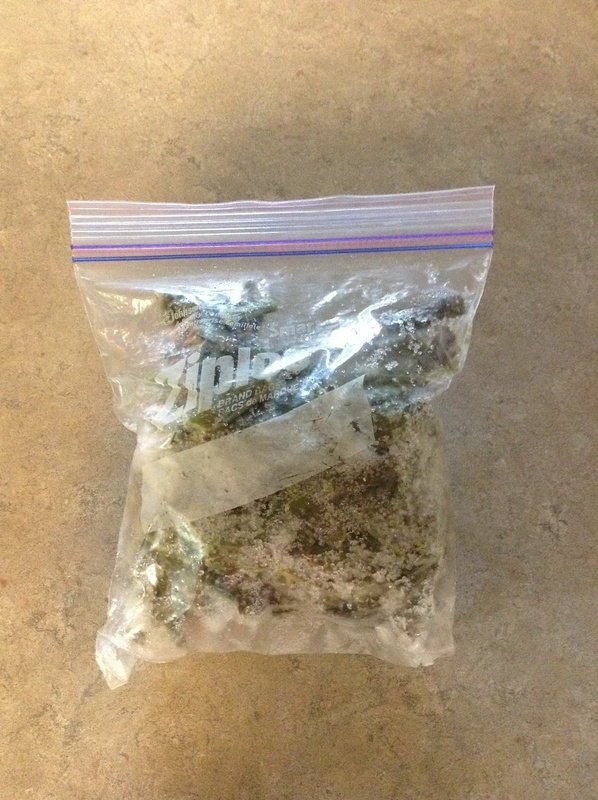 Second, put the blanched veggies on a cookie sheet in the freezer until they are well frozen – this way the bags will seal without excess juice getting sucked up by the vacuum and interfering with the seal. I won’t say what brand/model sealer we are using (seems like a personal choice, and I don’t want to interfere, but it is pretty obvious from the picture below), but I will say that using a sealer is easy and highly recommended – almost as fast as using a ziplock, but way better than pretending freezer burned veggies taste almost like fresh. 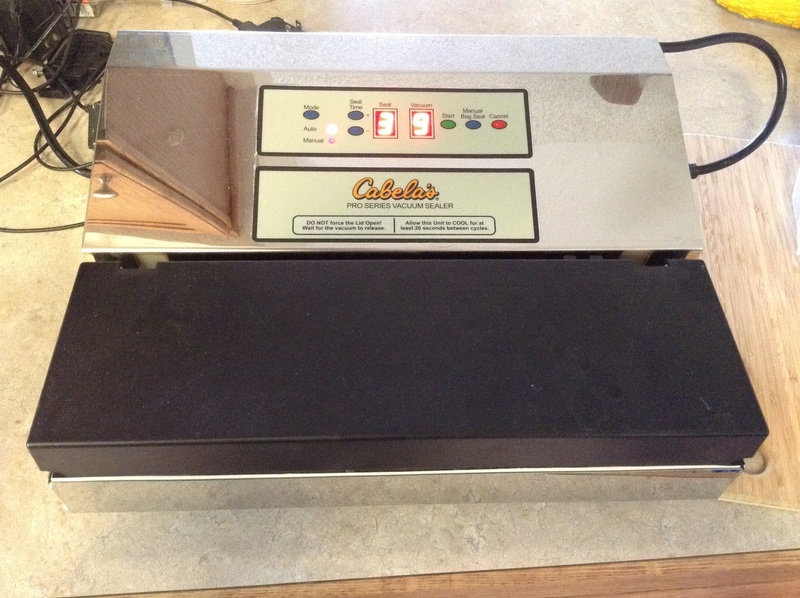 Have you ever used a vacuum sealer for food? I assume (maybe hope is a better word?) that other people have this problem too with chairs being too low and stairs too steep for days after an especially arduous bout with p90x. For me, I have been searching for a “magic” cure (besides more elevators) for as long as I have been addicted to p90x. Unfortunately for me, it seems that the best way to deal with this sometimes annoying but regularly occurring fact of life was to just do the next workout and I would feel better in a day or two. 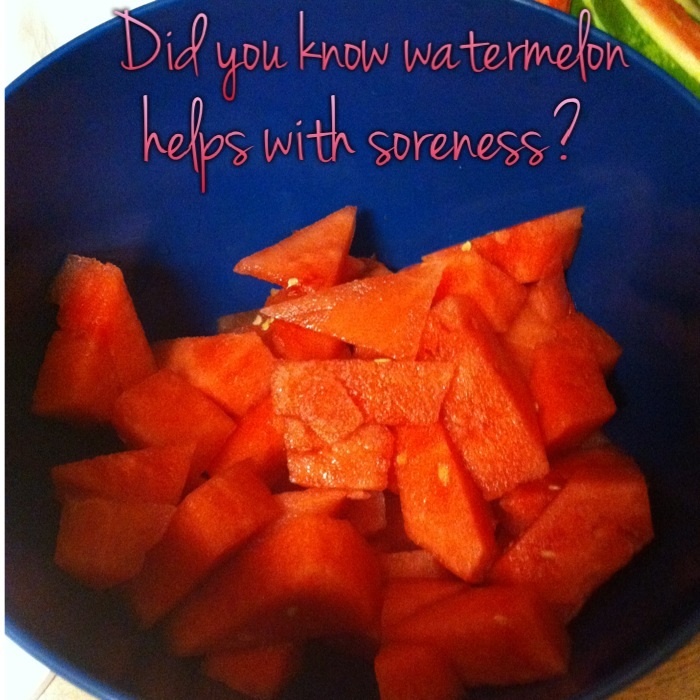 While prowling the internet (my main workout these days) I found an interesting article discussing several common foods that can help reduce soreness. As it will be a couple more months until I can test out these foods, I would love to hear any first hand accounts of whether or not these help. On a side note, I had my baby shower last weekend and had the in laws and other family come into town for this joyous event! I had a great time and am truly blessed to have so many great friends and relatives! Yesterday spent sometime getting the nursery all finished with the help of my mom and sister (thanks to hubby to for lifting, and hanging up pics and setting up the mobile)! 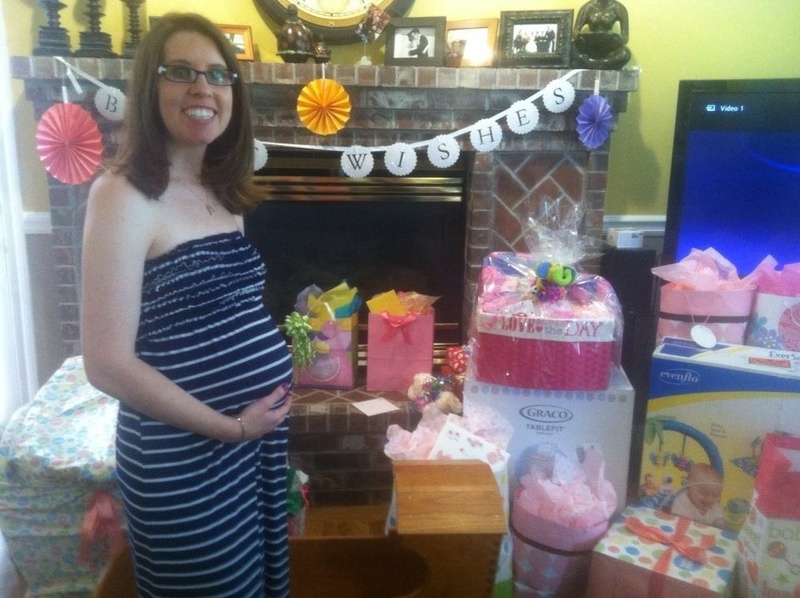 Celebrating at my baby shower! 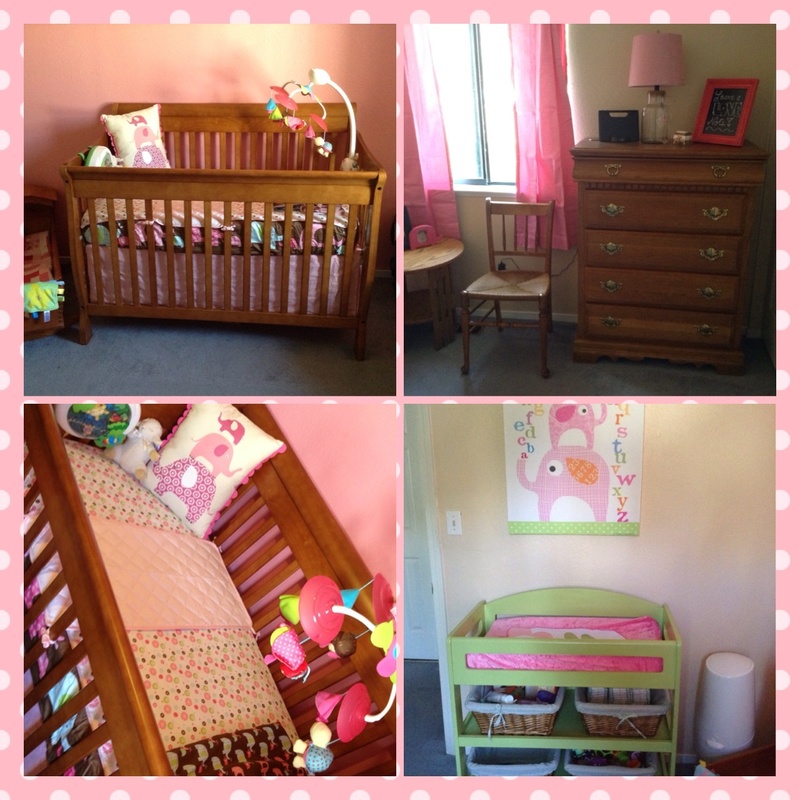 Nursery is all set up and ready!